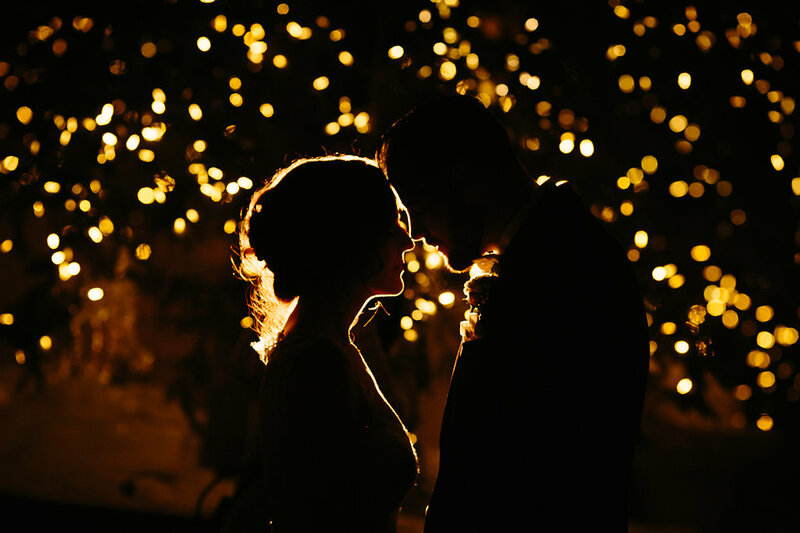 Sometimes a love story is so beautifully written that it seems unbelievable- that it is one for the movies- that there is no way everything could fall into place so seamlessly and perfectly. But for Nicole and Ryan, this is precisely how their love story begins. Photography by Cat Mayer Studio. 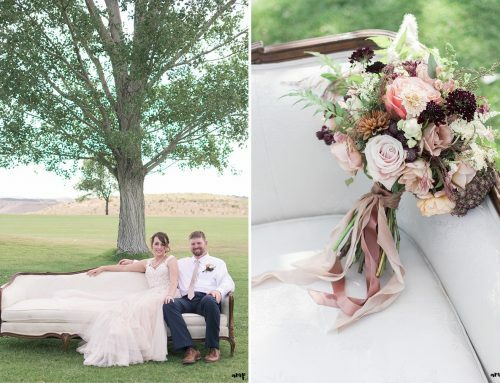 Nicole and Ryan’s wedding happened exactly one year to the date- 365 days-after they met for the very first time. It could have been because of “Ryan’s gorgeous behind”, as Nicole jokingly stated. Ok, maybe she was serious. Or maybe, more appropriately, because it was just meant to be. 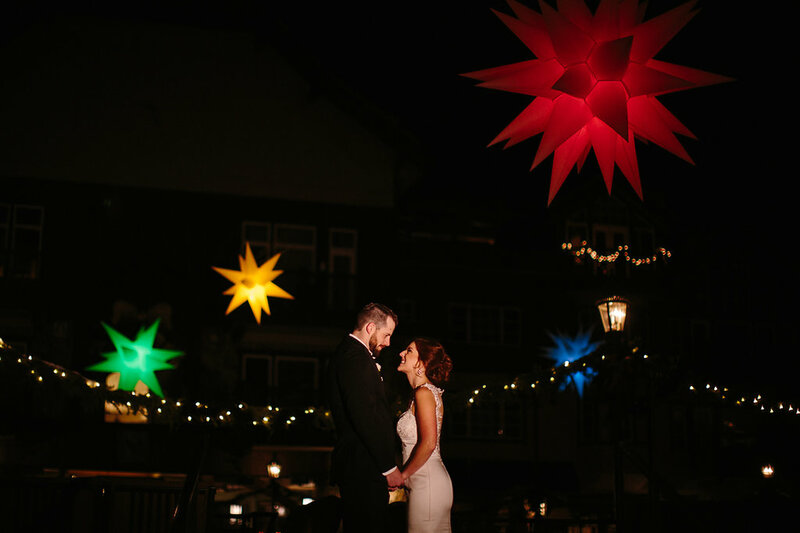 Fast forward 365 days, Nicole and Ryan found themselves celebrating their wedding weekend, along with their closest friends and family, at Park Hyatt Beaver Creek Resort and Spa. 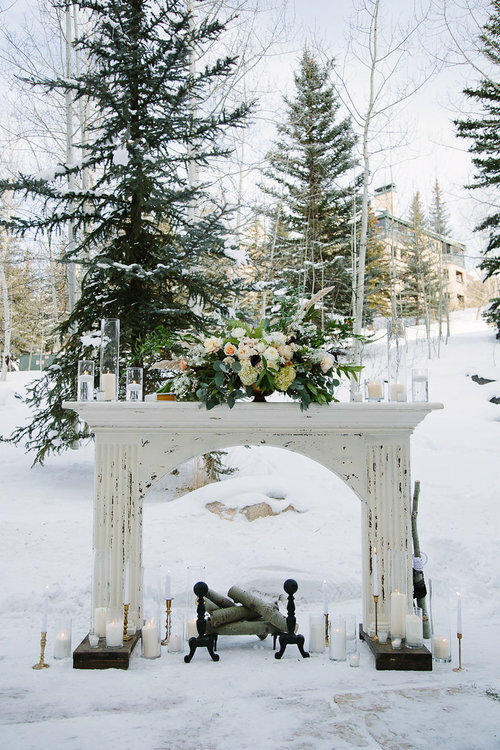 The weekend began with a romantic ice skating session in the Beaver Creek Village, followed by s’mores and cocktails around the fire. 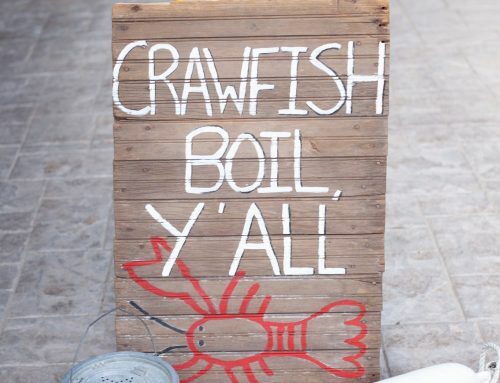 Weekend captured by Jami Davis Films. 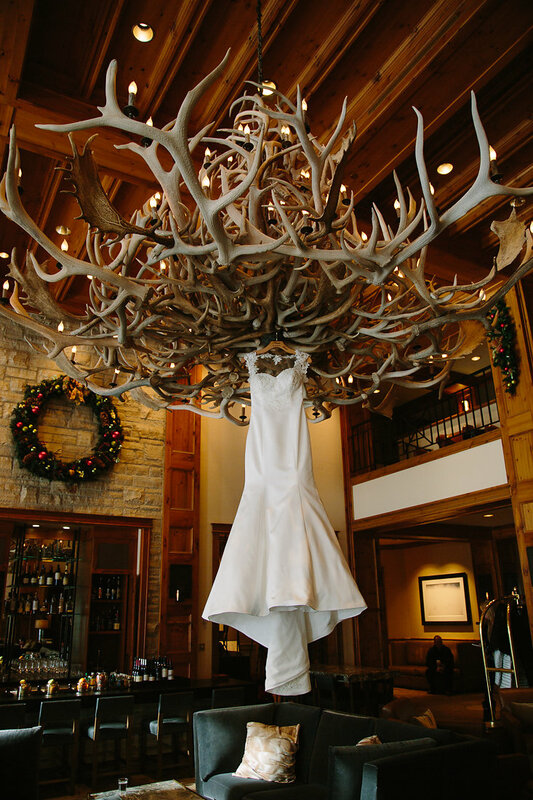 The wedding took place the next day on an outdoor private terrace. 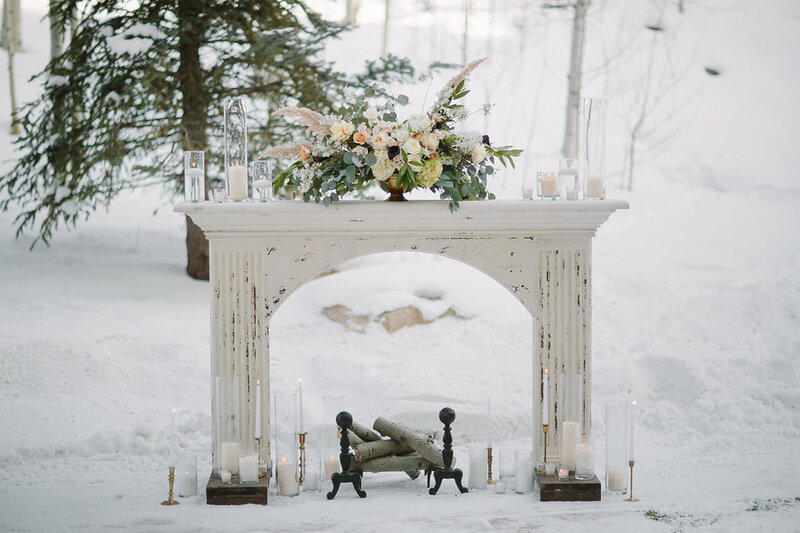 Our white mantle and rustic benches set the stage for the intimate and private ceremony. 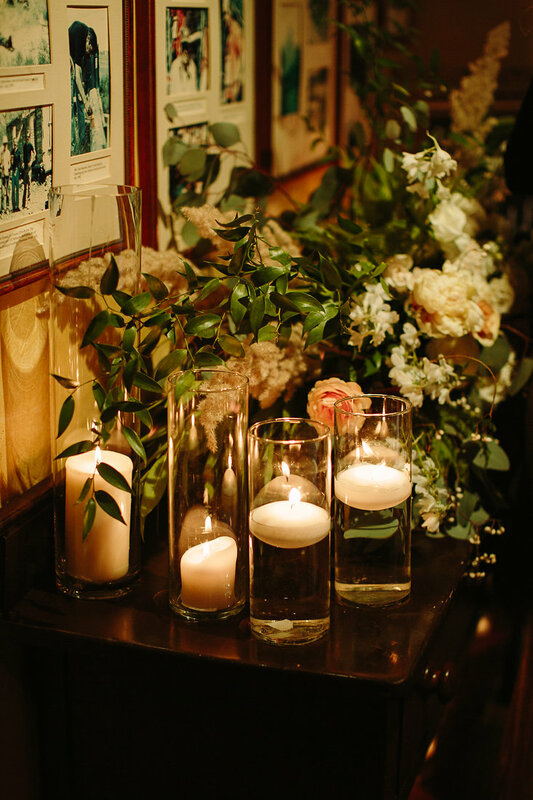 While guests cozied up with warm drinks from the hot chocolate bar, scattered candles and warm blankets provided a lovely contrast against the beauty of the snowy mountains. Flowers by 3 Leaf Floral. 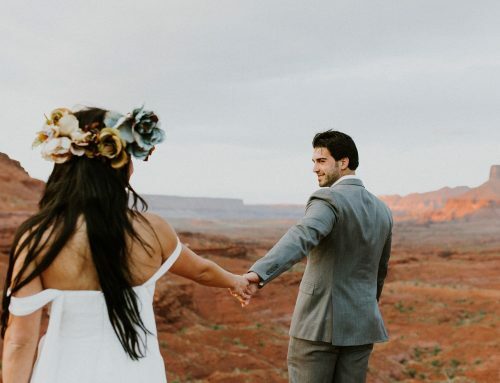 Married by the bride’s older brother, the couple exchanged heartfelt wedding vows. The special words and loving moments were full of happy tears and genuine laughter that will be forever cherished. 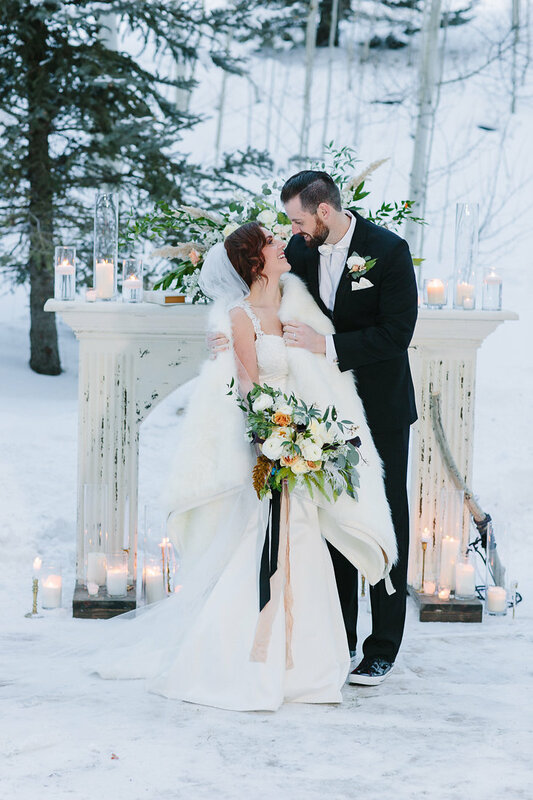 Ceremony backdrop- dreamy winter wedding. 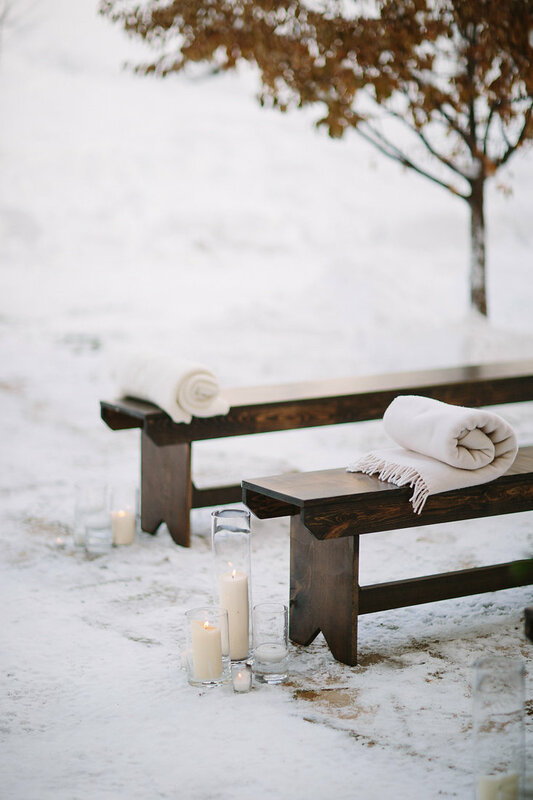 Our rustic benches combined with a variety of candles added perfect contrast to the cold day. 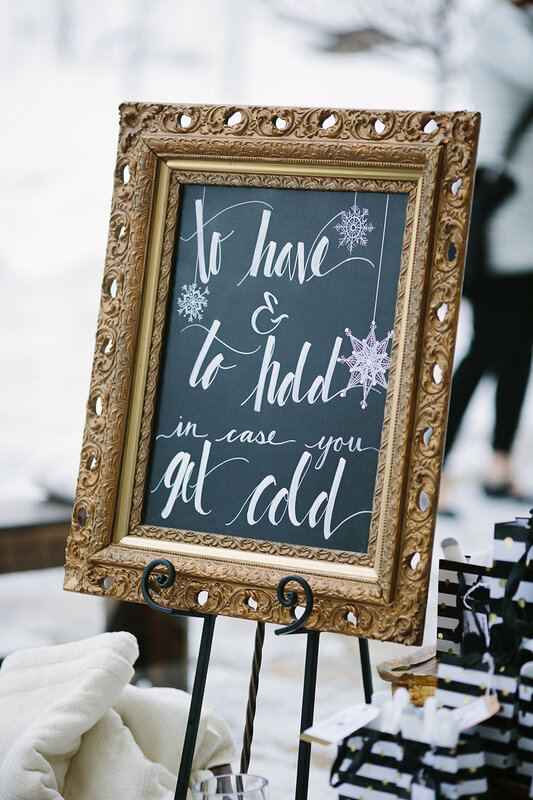 Custom signage in our vintage frames. 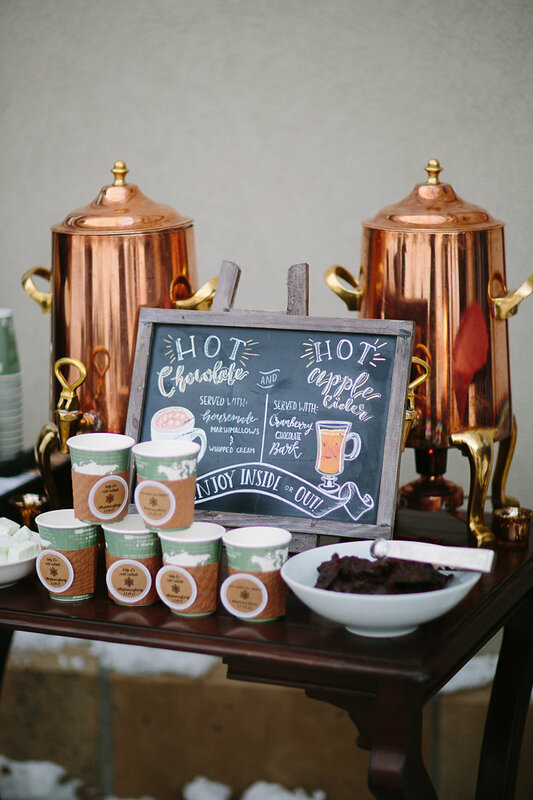 Hot chocolate and cider bar for guests to enjoy at the ceremony. 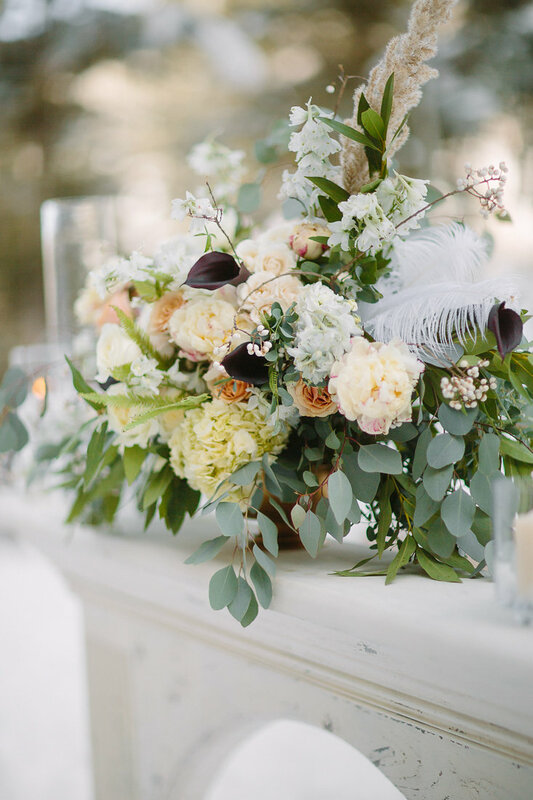 Flowers by 3 Leaf Floral. The new MR. & MRS.!! 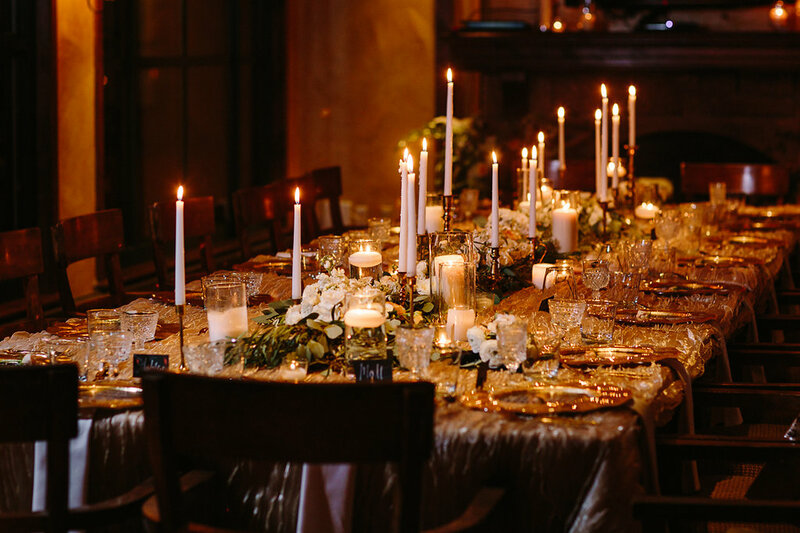 The wedding reception later began across property in the Park Hyatt’s Billiards Room. 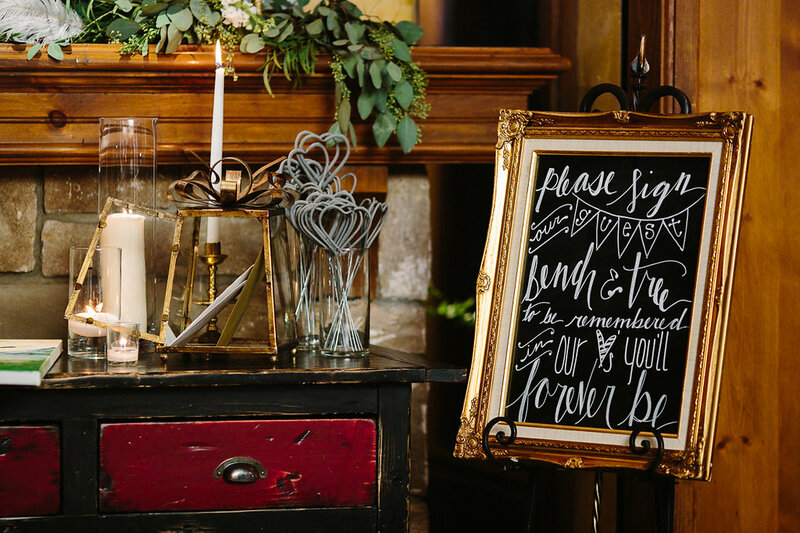 Guests were greeted with cocktails, a roaring fire, and an intimate dinner reception to celebrate the newly married Mr. and Mrs. 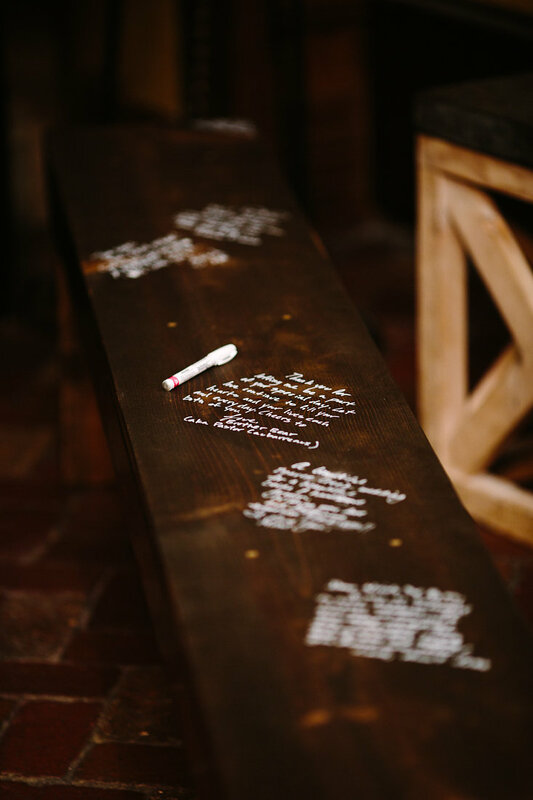 Custom bench used for a guest book. 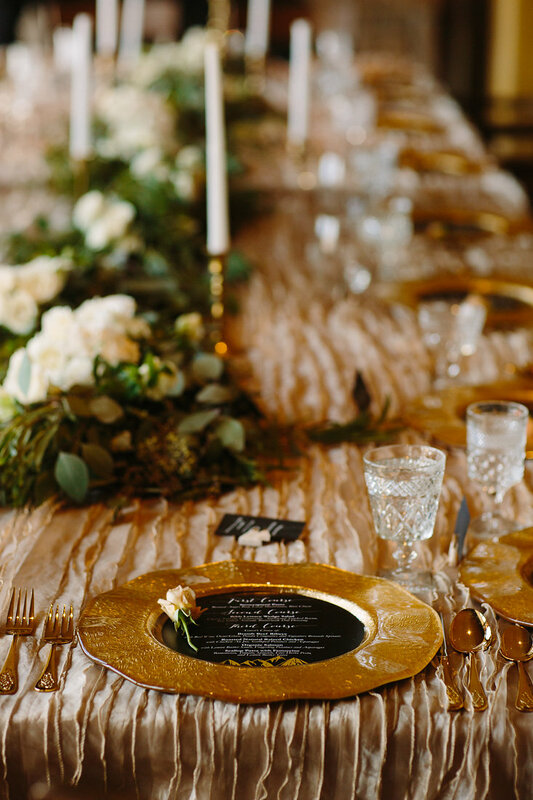 Tablescape designed and set-up by Stonewood Vintage. Linens from La Tavola Fine Linens. 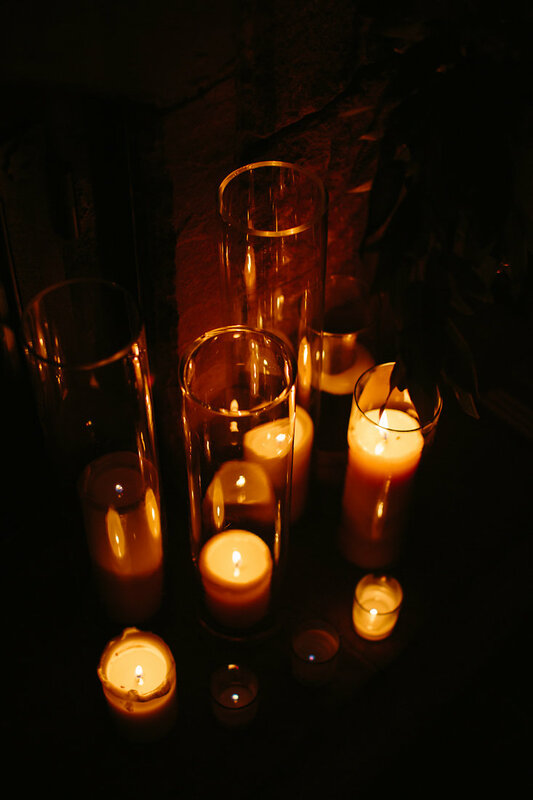 Dinner by candlelight. 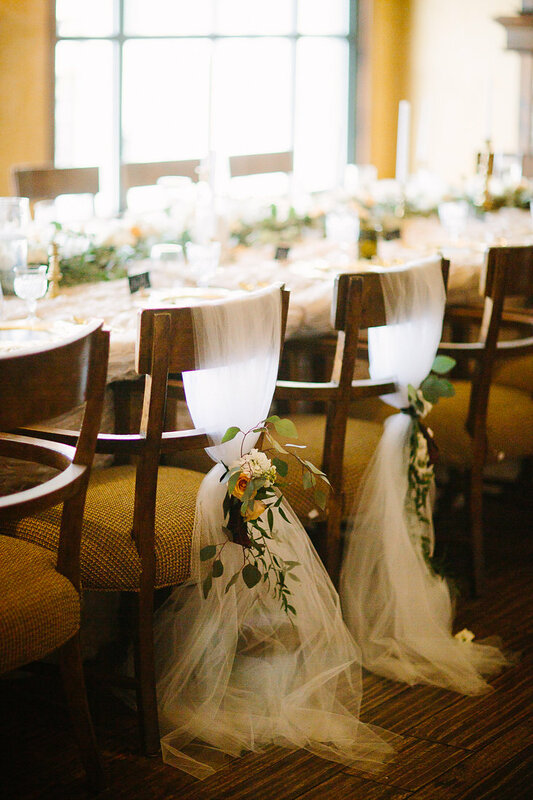 Custom chair detail by 3 Leaf Floral. 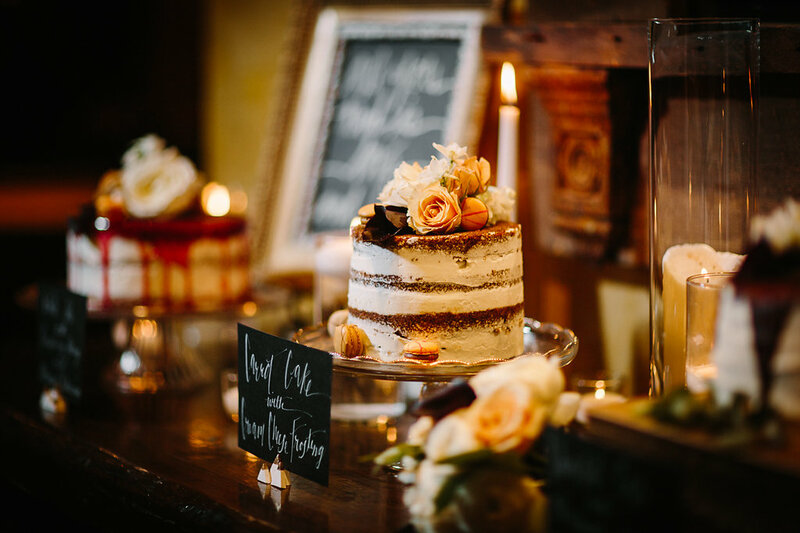 Favorite slow dance songs, 90’s rap hits, and a few trips to the cake bar finished off a night that truly was one for the books. 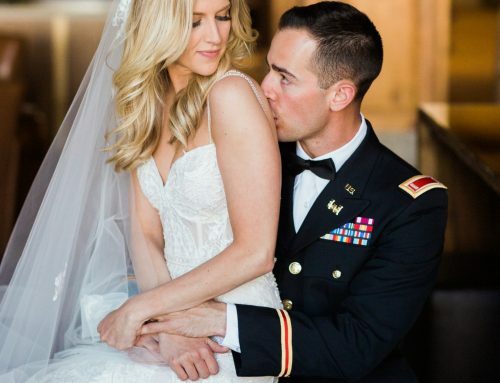 It was an unforgettable chapter within a story that is only beginning for Nicole and Ryan. 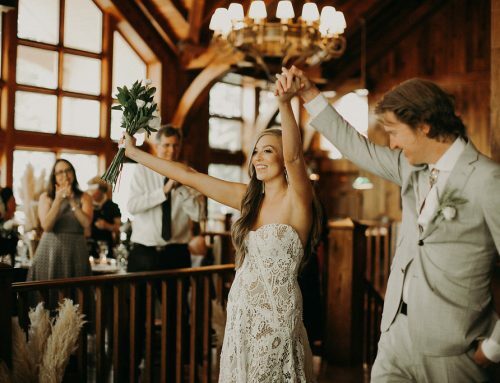 We wish Nicole and Ryan all the happiness in the world- thank you for allowing us to not “just be” your wedding planner, but now a part of your forever love story.